in order to achieve uniformity of quality and speed of assembly. 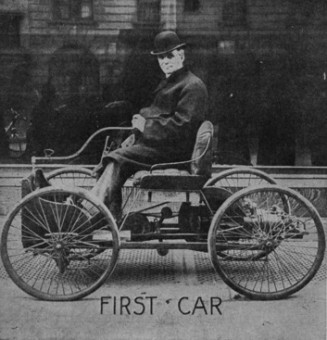 Before the rise of the Ford Motor Company, early automobiles were hand crafted, expensive, and used unique improvised parts so that maintenance was difficult and replacement parts hard to come by. This first automobile design was not a commercial success. People laughed at the inventor and said that the contraption was useless. Horses were afraid of it.